Once, a long time ago, it was possible to downgrade to an earlier firmware, and millions of people took advantage of it. Those were the people who used Cydia on their devices, who eagerly awaited a new jailbreak and used a cool tool called TinyUmbrella. TinyUmbrella is a great tool that helps us to save SHSH blobs, tiny pieces of data deposited on your device when you update your firmware, and then use them to create custom firmware for downgrading. This could all be done because of a loophole in the firmware but, sadly, Apple has patched it. It means that we can no longer downgrade, at least not right now, but we can still save our SHSH blobs. As soon as the TinyUmbrella developer ( twitter ) has found the right method for downgrading, he will update his tool; in the meantime, you need to save those SHSH blobs to be ready for when it happens. TinyUmbrella works on Windows and Mac so click the button below to download the right version for your system. While it is easy to save your SHSH blobs using TinyUmbrella, the next bit isn’t quite so simple. Restoring your iOS firmware is a bit more complicated, and you should do this only if you have experience and confidence. You need a tool called NonceRead. 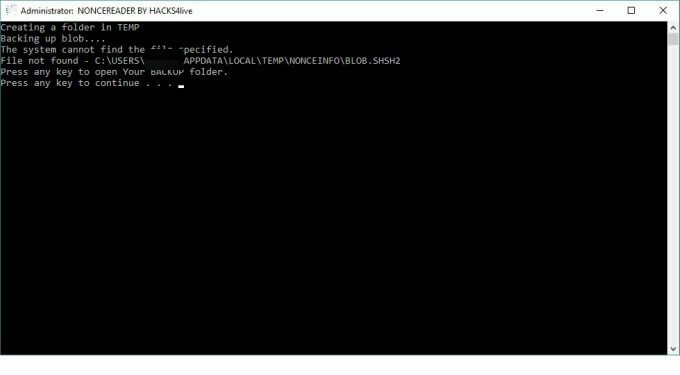 NonceRead was developed by Hacks4Live ( reddit ), and it is used for extracting the nonce hexadecimal string form Windows. Part of the upgrade and downgrade process requires you to set Nonce in NVRAM, but this can’t be done until the hexadecimal string is extracted for the SHSH blob to be used. This isn’t very easy for people who have never done this kind of thing before, and that is why NonceRead was developed, to make life just that little bit easier for you. This is really quite easy; all you need is your Windows PC and the SHSH blobs you want to use. Just make sure you follow the instructions carefully, and it will all work out. TinyUmbrella is still waiting for the update that will allow us to downgrade, but it is still incredibly useful. Make sure you use it every time you update and be ready for when the time comes. Then follow the developers on Facebook for all the latest developments.